Beautiful, almost new and move in ready, lake front custom-builthome on .72 acres is waiting for you! 4 bedrooms, 3 bathrooms and a 3 car garage perfectly located and close to everything, West of I95 offWashingtonia Dr. in the desirable community of the Reserve at LakeWashington! 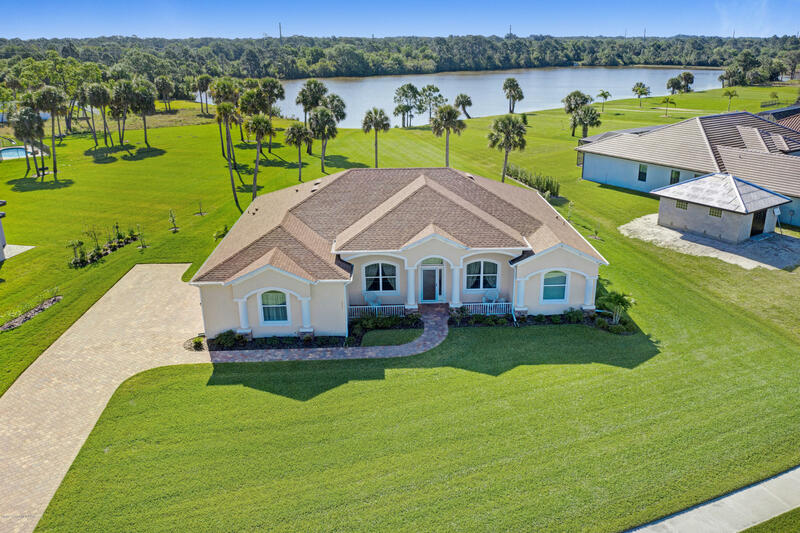 Paver walkway leads you into this elegant split planhome with a formal living, dining room, stylish open kitchen andfamily areas featuring crown molding, high ceilings and stunninglakeside views. Spacious and private master suite features soakingtub, double vanities, large walk in closet and your own private door tothe covered back lanai. Too many amenities to mention, like the in-law/guest suite - and plenty of room for a pool, this quality home is a must see!